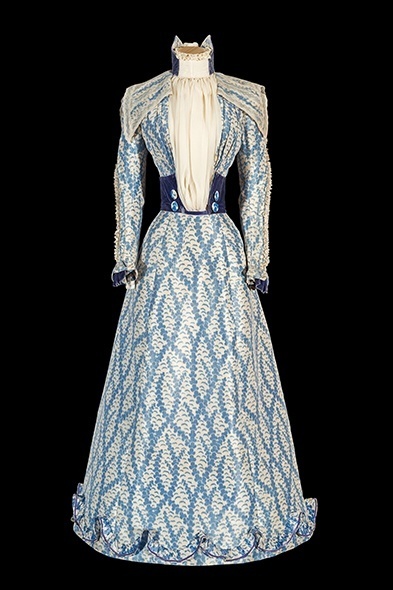 A new exhibition explores how Empress Elisabeth of Austria’s tragic and intriguing life reflected in her wardrobe. Elisabeth, nicknamed Sisi, was one of the most distinguished royals-celebrities of the 19th century. In 1854, at the age of 16, she married Emperor Franz Joseph I, becoming Empress of Austria and Queen of Hungary. The codes and strictures of Viennese court life repressed the young empress’ spirit. For the rest of her life, Sisi suffered from anorexia and depression, maintained a rigorous exercise regimen and wrote dark poetry. Her restlessness and discomfort resulted in seeking refuge in travel. 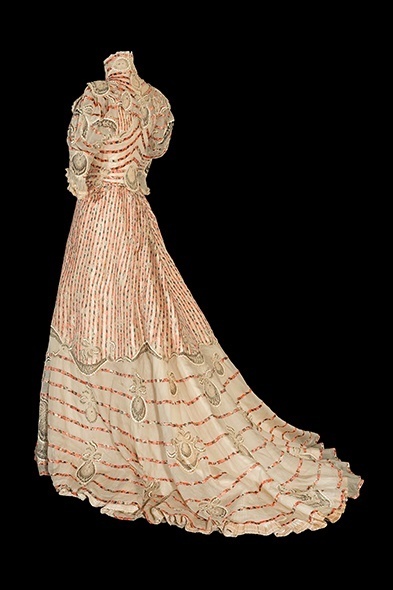 The exhibition, housed in Vienna’s Hofburg Palace, displays a selection of never-before-seen garments and accessories. They were found a few years ago in a dusty box in the Seisenegg Castle in Lower Austria. The Sisi Museum eventually got in possession of the box’s contents and reinvigorated its permanent collection with a new show. The focus is on Sisi’s so-called Corfu wardrobe, made for her frequent stays on the Greek island where she had owned a palace. The garments are embroidered with a crowned dolphin. This motif is thought to represent the empress’ fascination with Greek mythology (in which the dolphin has several meanings). Sisi was famous for her waist, one of the tiniest in Europe at the time. You might read about it in her biographies, but it’s another thing to see actual material proof of her physical frailty. A belt that could fit my thigh, undershirts that could be worn by a child. I felt a strange guilt looking at these items, as if I had invaded another person’s intimacy. But that’s as far as the intimacy went. The information on Sisi’s fashion offered in the exhibition is vague. We don’t find out who designed the clothes, a major missed opportunity given the fact that Sisi was a patron of the father of haute couture, Charles Frederick Worth. 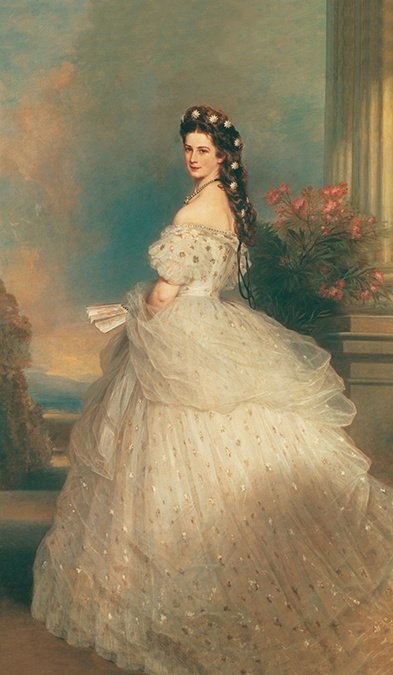 (She wears Worth in her famous 1865 portrait by Franz Xaver Winterhalter, and Worth also designed the resplendent gown for her coronation in 1867). I stood before the clothes, minding the gap in my knowledge. Despite the lack of information, there was an unexpected added value to the exhibition. It dispels the myth about Sisi becoming “the lady in black” after her son’s suicide (indeed, Sisi’s life offered a generous supply of tragedies). The Corfu garments, none of which are black, were all worn after the fatal event. It all made me long for a proper big exhibition of Sisi’s fashion, uncovering all the inaccessible, secret archives. A show that should be in the Met or the V&A but would invariably end up in Vienna, among the Hofburg palace and the smell of horse manure. The empress would laugh at the irony.